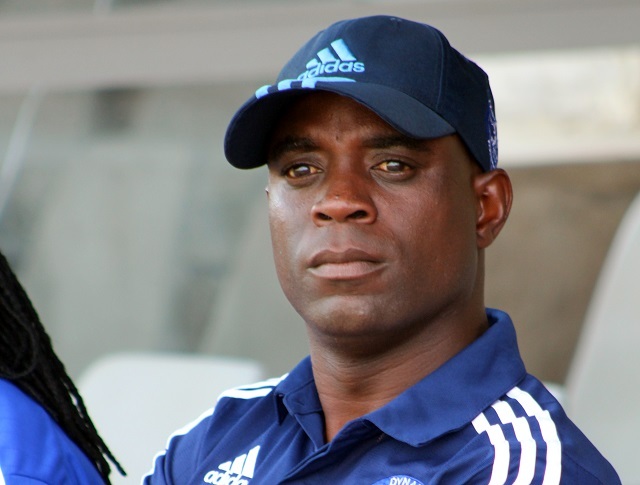 NGEZI Platinum Stars coach Tonderai Ndiraya is enjoying the flying start they have made to the season after his side edged struggling hosts Harare City at Morris Depot yesterday to reclaim their place at the top of the Castle Lager Premiership log. Qadr Amini scored the solitary goal of the match from the penalty spot 21 minutes into the game when referee Brighton Chimene ruled that Jimmy Tigere had fouled slippery forward Donald Teguru. The decision, however, drew strong protests from the hosts. “It’s been quite difficult for our team, our team is quite young and to stay at the summit for this long is quite an achievement for us. But we are not thinking about the log standings at the moment,” said Ndiraya. “We are thinking about getting as many points as we can as the season progresses. We are not two-faced about where we are. I know the journey is still very long and the big teams are coming. But I am happy with what we have done so far. The penalty call, which looked harsh, came in Ngezi’s first real attack. The goal swung the momentum in favour of the visitors with Tichaona Mabvura, Teguru and Terrence Dzvukamanja causing problems to the Harare City defence. Walter Mukanga could have doubled Ngezi’s lead soon after the penalty but he could only direct a free header straight to the ‘keeper from a good cross by Mabvura on the left. William Manondo’s ferocious shot came off the underside of the bar midway through the second half for the hosts. Coach Mike Madzivanyika should be feeling the pressure after a third defeat in seven games which left them trapped in the bottom four. “Obviously when you can’t win at home it becomes difficult. This is the second defeat playing at home and I’m not happy. I think it was a 50-50 game but these guys took their chances and we missed ours. “We haven’t been scoring. It leaves us with a mountain to climb but we have to climb the mountain,” said Madzivanyika. Ngezi Platinum: T Mawaya, Q Amini, P Jaure, K Murera, E Tapera, W Mukanga, L Chakoroma, G Murwira, T Mabvura (M Phiri, 67th min), D Teguru (E Mhungu, 75th min), T Dzvukamanja (M Charamba, 85th min).